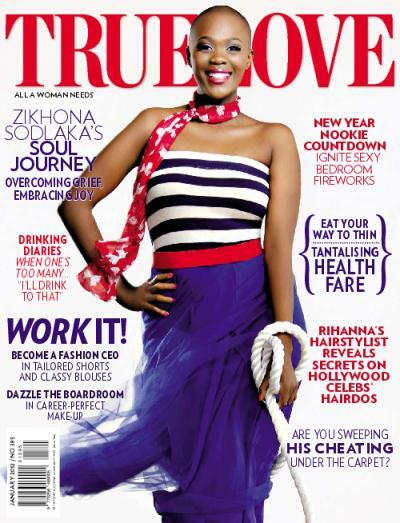 @Ladyzikky aka Zikhona Sodlaka looks ravishing in this cover of True Love on stands. It's a pity because I thought of buying it the other day but after spending R21 on a copy of the mag few months ago and only to be bombarded by 80% ads and only about 4 new features, I told myself that the magazine is not worth my money anymore. No doubt that this prolific actress is a stunner but I love the layout and colours in the cover. The marine theme works brilliantly without overpowering the look of the front page.